Hey yall!! I am so excited for Halloween!!! That is why Dana and I are bringing you our Halloween Series. I am still in the middle of moving so I decided to repost these Mummy Pops I made last year. 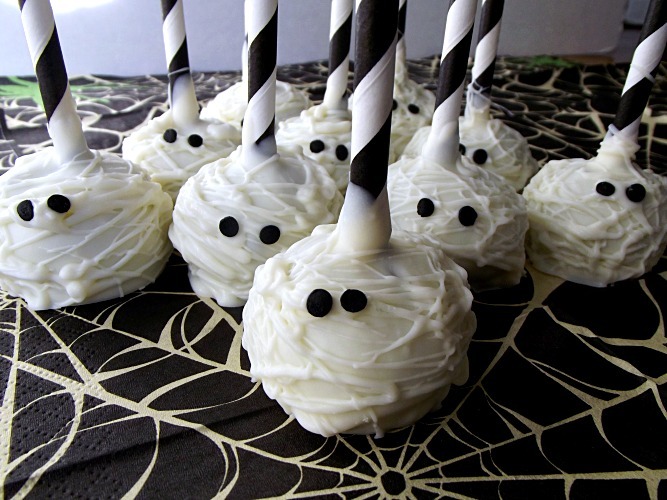 They are delicious, easy to make and just spooky enough to make the perfect Halloween treat! Don’t forget to head to Dana’s and check out her Bag of Bones Snack Mix! Yum!! Cute pops! Love the black and white sticks. Very cute…and I bet super tasty!! Thank you so much for linking up at Snickerdoodle Sunday…I hope you’ll come back later this week with your latest makes & bakes! Too cute! Pinning to my Halloween board. Halloween is my favorite! So cute!! My kids will love these ideas! Too cute, perfect for something my kids can help me make for Halloween! Following on G+ and pinning this! These are just adorable! I love the simple eyes :) I saw the bones earlier, too, and I loved it! What a fun idea for a Halloween party! So darling!! Love it! Pinned. OMG! So cute, and looks yummy too! I love all Halloween pops and treats! 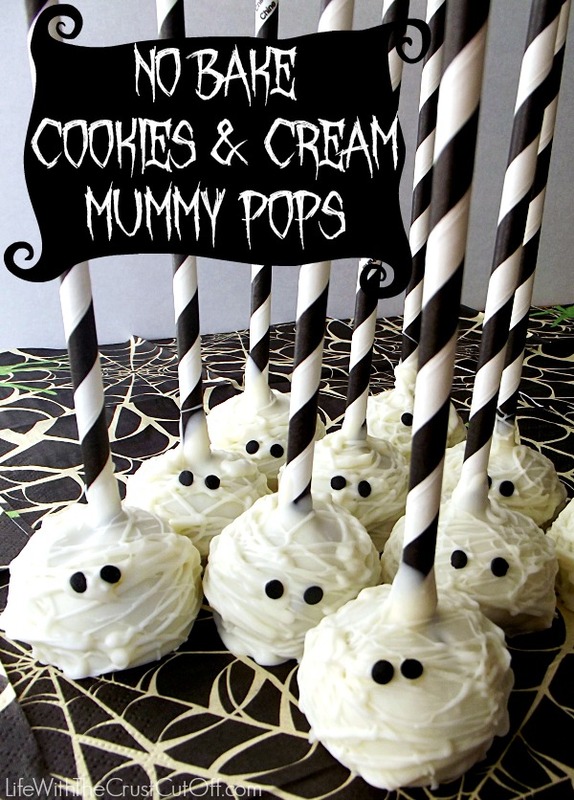 Your mummies came out so cute and I love that they’re no bake! Thanks for sharing and I’m pinning it. Hey, Congratulations on being featured on Wake-Up Wednesday Linky Party. I love these! My little neighbors will really like them too! Congratulations on being our chosen feature on #PureBlogLove anything goes linky party!! I can’t wait to see what you have in store for us this week!!! My kids loved this. We’ll make more of this in the kitchen lab this weekend! So glad you liked them!!! They are my go to dessert for any occasion lol!